From the very first sentence in Send, the reader is drawn into the tragic story of Dan Ellison, an 18-year old who has a dark secret. In fact, his real name isn’t really Dan, a fact he must keep to himself to remain safe and get a clean break from his past. But he soon learns that the past has a way of catching up with you no matter how hard you try to forget it. This young adult novel delivers a punch to the gut with its intensely realistic first-person story of a former bully’s struggle to redeem himself. 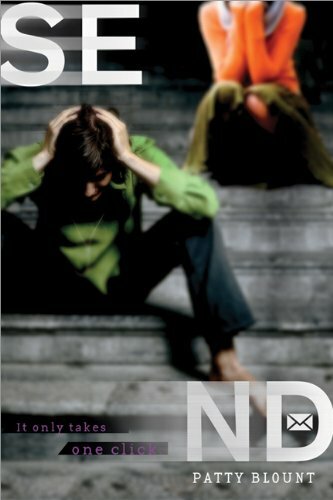 “Dan” lives with tremendous guilt from the death of a peer whom he had bullied. Hitting the “Send” button on his computer one day, Dan causes a boy to commit suicide as a result of the pejorative email. Dan condemns himself to nine months in juvie and the rest of his life in a self-imposed purgatory of shame. And then he meets Julie, who is trying to manage her own inner demons and guilt. As they bond, Dan is torn between his desire to be totally honest with his first real friend and soul mate or preserve his and his family’s anonymity in this new place where no one knows about Dan’s past. As Dan struggles with his burden of guilt and self-loathing, he befriends a nerdy fellow student named Brandon, who is being bullied by the school’s top jock, Jeff. There is something odd about the relationship between Brandon and his tormenter. Dan is determined to find out and when he does he learns that deep emotional wounds are very hard to heal. A cautionary tale about responsibility, integrity, and redemption, Send reflects the angst of a troubled soul on the cusp of adulthood through both its voice and language. Readers be warned: Don’t pick up this book unless you have a few hours to read, because it draws you in from page one and will not let you go until the last page. Youth coping with bullying as victims, perpetrators, and bystanders will find companionship within the pages of Send. chaired a coalition that succeeded in introducing mandatory bullying prevention training in Miami public schools.Kathy currently serves on the Miami Dade County Public Schools Student Services District Advisory Committee. She is also the author of the book, Protect Yourself From Crime, and has published widely in both magazines and newspapers. Ms. Hersh has also produced a video for children on the civil rights movement and Dr. King’s philosophy of nonviolence called Fighting Fair. It has been used around the world to teach the principles of non-violence.